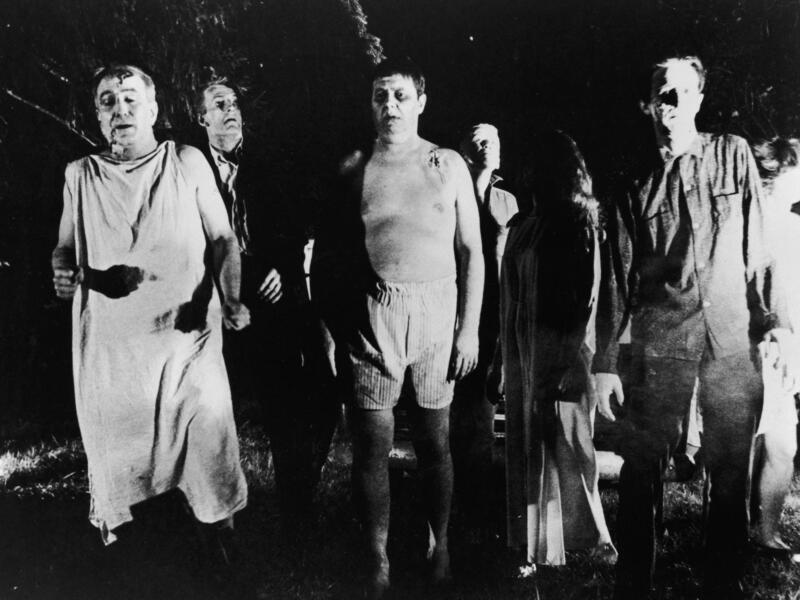 The classic film about zombies — the Night of the Living Dead -- has been restored by the Museum of Modern Art and is being screened around the world in it's 50th anniversary year. A few weeks ago, I drove three hours to reach a screening of the restored print of George Romero's classic black and white zombie film. Sitting in the multiplex theater, I tried to put myself back in the mindset of someone seeing it fresh as the main characters, Barbara and her unnamed brother, find themselves in a cemetery. "They're coming to get you, Barbara," he teases. "Look, there comes one of them now!"